Fear of terrorists using shipments of rock lobsters and other famous food exports have cause the Australian government to implement heightened security measures on their food industry. The food and logistics companies fear delays, spoilage, and major bottlenecks, as they rush to ship live seafood products globally. Joe Zaccaria, CFDC, provides some insights derived from an article on ABC Rural. Conversations with CSOs and their teams. Conversations with the ecosystem that influences them. Great conversations that move us into action. We provide you a link to all of them and direct links to a few of them. It happens once a year in Seattle. And this year in Plano, Texas as well. Conversations that we all have been wanting to have will now become a reality. The Great Conversation in Security on the Seattle waterfront on March 4&5. Ed Bacco’s article, published in Security Magazine, seeks to articulate the history, challenges and necessary next steps in bridging the communication, strategies and operational execution of physical and cyber security. It is time for an executive summit for the security industry. If you are going to OSAC in Washington DC, you will want to register for the Executive Summit Series to be held at The Boeing Company on Monday, November 12 in Arlington, VA.
Joe Zaccaria, Principal with our Enterprise Security Risk Group (eSRG), summarizes his findings at the Farm to Fork event in Walla Walla, Washington. With increasing attention on the supply chain of our food supply, Joe’s address at the conference was timely. Our Enterprise Security Risk Group (eSRG) has identified Food Defense as a critical area of focus. A new white paper is available. This blog frames the white paper content by postulating that food defense is not about just compliance. It is about brand and process optimization. And that is food for thought. Joe Zacarria, CFDC, Principal in the Enterprise Security Risk Group (eSRG) of ADT|ASG, will be a featured speaker at the “Farm to Fork” Securing the Supply Chain Forum in Walla Walla, Washington on October 26, 2018. According to the Forum, Joe is “driving the innovation and optimization of Security Risk Management Services (SRMS).” SRMS is an industry category describing end-to-end risk, resilience and security services based on Enterprise Security Risk Management principles and best practices. At the forum, Joe will be addressing the vulnerability of the food supply chain. He will be discussing the overall preparedness, response and recovery capability needed in the food industry. This is not only critical to the viability of the companies in the supply chain but also to the health of our state and nation. Walla Walla is known for its wine industry and Joe will be spending some time addressing the unique needs of this community in addition to his broader subject matter. This will include an overview of how risk assessments and strategic security plans reduce vulnerabilities. Food safety is a specialized field. Joe has a CFDC certification, which translates into Certified Food Defense Coordinator. As well, Joe is a Senior Fellow with the Center of Excellence for Homeland Security Emergency Management representing 34 community and technical colleges, public agencies and private sector organizations. Sponsors include the Agricultural Center of Excellence, the Homeland Security Emergency Management Center of Excellence and the Global Trade and Supply Chain Management Center of Excellence. Of the last six projects I've worked on five have included some analysis work between a client and a service provider. Sometimes it’s an Integrator, sometimes a guarding company. One project had both. With one exception (a Bangalore-based Integrator) there were relationship dysfunctions between the clients and the providers with the clients believing the problem was the providers. My job, among other things, was to figure why the provider is "bad" and what should be done to fix it. As per the link below trust IS a currency, both gained and lost between two or more parties. The degradation of trust is almost always a two-way phenomenon. We all tend to see a two-way problem as being more of the other parties’ problem, especially where we’re paying them to perform. In two instances I found the provider's behavior to be seriously problematic and the client's concerns more than valid. Indeed, their concerns underestimated the risks and impacts. However, in the three other instances the dysfunction was more equal: The Provider was as equally frustrated with the client but felt constrained due to the financial relationship and calling out poor client behavior could jeopardize the contract. In one instance, the client’s unhappiness was driven by non-security stakeholders and the Provider was trying juggle many unaligned client stakeholder expectations and manage perceptions! So, the provider’s own behavior exacerbated the client’s doubts. There are a variety of techniques used to bridge gaps and mend fences where client and provider problems are concerned. The two questions I always ask first is “Do you want to fix the relationship or is it beyond repair” and “Are you open to feedback that, as a client, there are behaviors you need to change”. The answers tell me what to do. Client and provider relationships ought to be built on trust; if trust is a currency then it has to have equal value both ways. The more openness to client/provider transactions - like services, feedback, and refining the expectations - the more rewarding the trust relationship becomes. Isn’t that what we all want? October 9, 2018, Renton, Washington. Joe Zaccaria, CFDC, Principal with the Enterprise Security Risk Group (eSRG) of ASG, was named a Senior Fellow of the Center of Excellence for Homeland Security Emergency Management (HSEM) this month. “The appointment as Senior Fellow honors your achievements, contributions and/or service within your professional domain”, said the Director of the Center of Excellence of HSEM, Linda Crerar, MA ABS in a letter to Zaccaria. 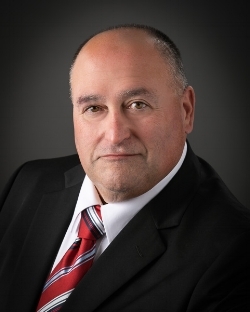 Joe Zaccaria is a 30-year security industry veteran. He is a Certified Food Defense Coordinator (CFDC) and an authority in the areas of food defense, regulated industry security, corporate risk management, and threat, risk, and vulnerability assessments. Is Voice the Next Stage of your Security Program? Everywhere you go Siri, Cortana and Alexa seem to be talking. And we are answering and engaging like never before. So where is voice in the security program? Is it stuck in a paradigm of our own making? The right technology to lead innovation and change in your security program is right in front of you. Navigating change in our industry is challenging. Often we feel like a stranger in a strange land. Phil Aronson explores some of the changes that are rocking our world in this article from Security Magazine. Phil Aronson, President of ASG, was named the #1 Global Influencer by a global organization called IFSEC. IFSEC aggregates business intelligence around the risk, resilience and security industry. They were able to compile a very prestigious panel of judges to assess who truly is influencing the future of security. What would happen if a security executive could start with a blank canvas? Where would they begin? Phil Aronson, President of Aronson Security Group, provides some insights he learned in the “Corner Office” speaking with key executives in the industry. This was originally published in the May issue of Security Magazine. Will Your Voice be Heard? There is nothing like getting in a room with smart people and having a great conversation. Ideas emerge. Someone grabs a marker and begins to create a new process or product. Everyone realizes a new normal is about to emerge. This is why ASG hosts The Great Conversation. The country's leading security, consulting, and technology executives are about to have a Great Conversation in Security. Phil Aronson outlines what conversations he has had that will inform this year's forum on March 5 & 6 in Seattle, Washington. The Great Conversation producers, The Sage Group, told us they had a very compelling conversation with Michael Foynes, Senior Director, Global Security Operations for Microsoft regarding the digital transformation of business and the security program. Phil Aronson had written an article for Security Magazine in December, published in January 2018, in which he also referred to this and we offer it to you through our blog.